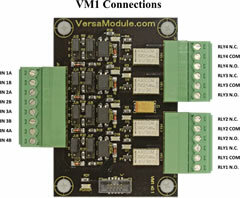 The VM1 Opto/Relay Module is designed for use with our Socket Board. Source code for demo is provided with purchase. 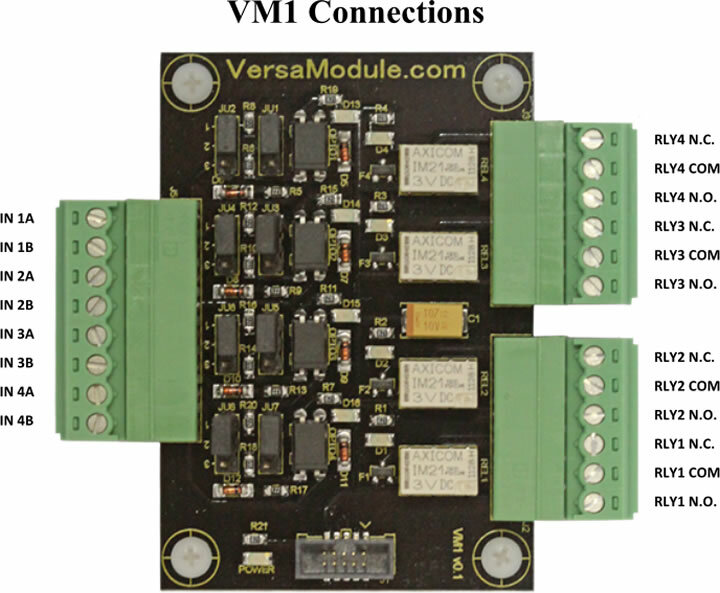 4 Opto inputs with user configurable jumpers for level input control. 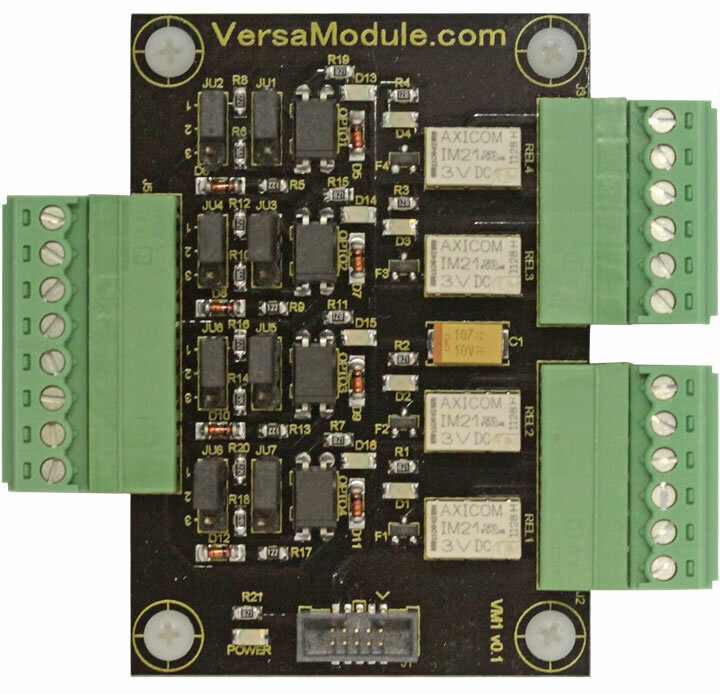 4 Form C relays with 2A contacts. 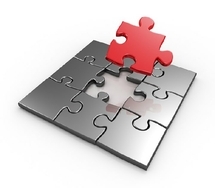 Web site Configurable to operate manually from web browser or set to operate Automatically. 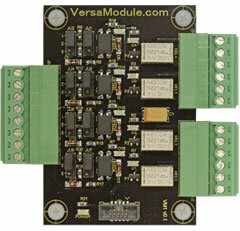 On board LEDs to show status of Optos and relays.